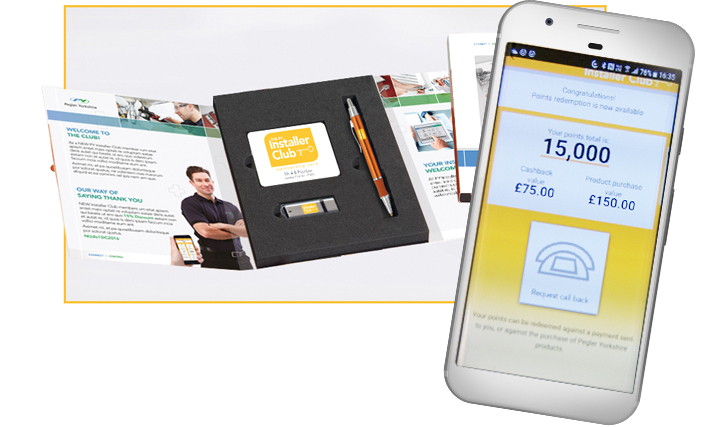 Aimed at Installers (Plumbers), to design, develop and implement a multi platform fully interactive and automated App, to collect sales data on a client’s smartphone, and transmit it for backend analysis and translation into points, redeemable for product, and / or cash. End objective, brand loyalty. 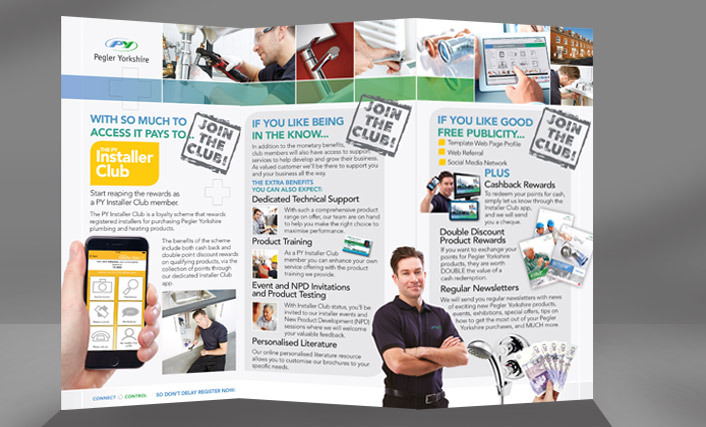 Implemented on iPhone, Android, and Windows Mobile, the Pegler Yorkshire Installer Club app has attracted numerous plumbers, engendering Pegler Yorkshire brand loyalty by encouraging purchase of Pegler Yorkshire products. Strongly branded and highly designed for each platform, and highly complex its functionality, the app allows full administrative control by Pegler Yorkshire of every aspect of the promotion, from rolling points totals and individual products or brands enjoying temporary points bonuses, to abuse and security contro,l and reminders and messages to multiple users or individuals. Isle Communications Group Ltd, 1 Regent Terrace, South Parade, Doncaster, South Yorkshire, DN1 2EE.